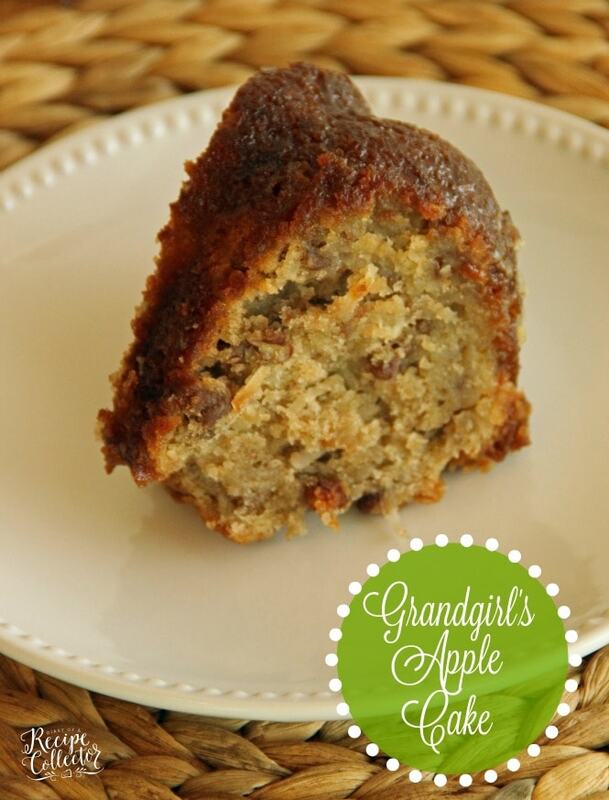 Grandgirl’s Apple Cake – This is one of the best Fall cakes ever! It’s filled with shredded apples, coconut,and then soaked in a wonderful sweetened buttermilk sauce! Everyone always wants the recipe! ALWAYS! *Update – This wonderful fall cake was originally posted in 2013. I had to bring it back because fall is just not the same without it! Words or photos really cannot describe this cake! 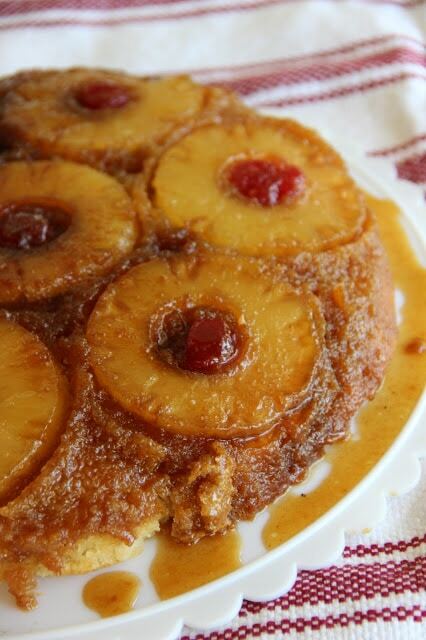 This is one of my favorite desserts to make for people, especially at this time of year. And of course, it is a Paula Deen recipe…I know, shocker right? What makes this cake so special is what happens after you bake it!! It bakes for 1 and 1/2 hours. As soon as you remove it from the oven, you pour this heavenly sauce over it and let it sink into the cake for an hour before inverting it…so you know it’s good! But let me say one more time…it is SO GOOD! You NEED to make this dessert this fall! We made this on Sunday and sent some to the my kids’ teachers and the office staff. This will help me to not eat the entire thing! And sometimes…I indulge in a piece for breakfast when I make it! *I make my own buttermilk, by mixing 1 tbsp vinegar to 1 cup of milk and let it sit for 5 minutes. So much better than buying a large amount when you don't need it. Spray bundt pan with cooking oil spray. Combine all the cake ingredients in a large bowl in the order given and mix well. Pour the batter into pan and bake for 1½ hours. About 10 minutes before cake is done, make the sauce. Melt butter in saucepan and stir in sugar, buttermilk, and baking soda. Bring to a boil, stirring constantly. Boil for 1 minute. It will get nice and smooth. Pour this sauce over hot cake as soon as you remove it from the oven. Do not take the cake out of the bundt pan yet. See the picture in the post. PLACE ANOTHER PAN UNDER YOUR CAKE PAN IN CASE SAUCE OVERFLOWS A LITTLE. Let the sauce soak in for 1 hour (no longer), loosen edges by running a knife along the sides and center, and then invert it onto a serving platter. I usually slice it up to have ready to serve. It is DIVINE!! * I have made this cake several times, and it usually turns out of the pan perfectly after loosening with a knife. If you let it sit in the sauce longer than an hour, it can be more difficult to remove. *If cake does break when turning out, it is fine. I usually pre-slice it to take it wherever I am serving it anyway. It still looks just as good! Please see below for tools you may need for this recipe. I wanted to share a few photos of this cool little apple peeling contraption I bought at a kitchen store last summer. I can peel 6 apples in no time! When my husband sees me get this gadget out, he wants to take over and play with it too! It also slices the apples into these cool apple rings. can you leave the coconut out? 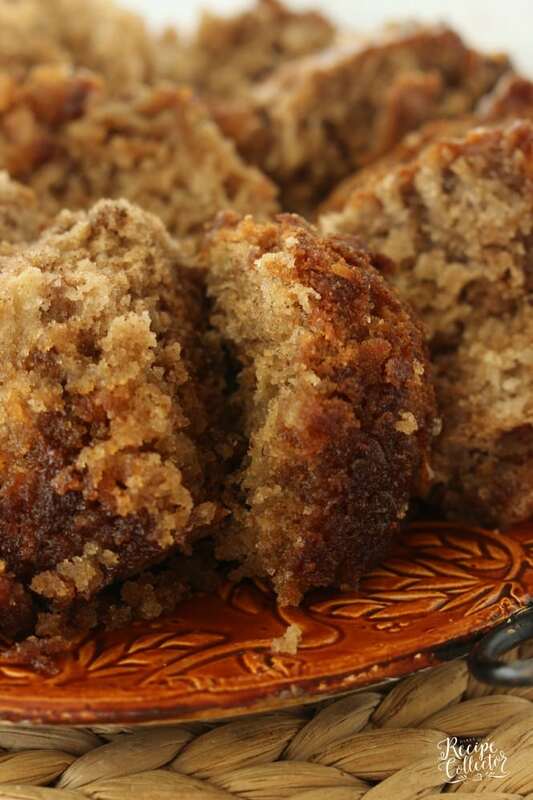 Do you poke any holes into the cake for the asauce to soak into? Hi Kathleen! I’ve never made it without the coconut because I’m a HUGE lover of all things coconut. I’m sure it would be just as good though if you don’t like it. No need to poke holes. It will absorb all that wonderful sauce!! Thanks for stopping by!! I have never put coconut in it… I take a cup of golden raisins and plump them in the orange juice… then add it all to the cake… it’s just like I remember my grandmother making when I was a kid… it’s so good! Love that idea Melissa! Great for all those people who are not coconut fans! Thanks for the response. I will try it leaving out the coconut. Also, I usually buy a quart of buttermilk and divide into 1 cup portions and freeze it. It works really well. I just thaw and use. I LOVE that idea! I always try to figure out something else to make with it (usually biscuits). I love that I could already have it frozen and not have to buy it again! Thanks for the tip!! This cake sounds soooo good! Just one ? though. Does the sauce make it soggy? Thanks so much….definently on my to try list. Hi Tammy! No the sauce soaks into the cake in the most wonderful way!! You will LOVE it! Every time I make it, people want the recipe! Hi Shirley! This is one of my older recipe posts. I updated it with a printable recipe. Just click the print button. Thanks for visiting. Being from Canada I am never sure what a “stick of butter” is, is it 1.4 cup? Hi Carola! Thanks for bringing that to my attention. 1 stick of butter is equal to 1/2 cup or 8 tablespoons. Thanks for visiting! What’s the purpose of the orange juice in this recipe? Hello! The orange juice just compliments the flavor of the granny smith apples. It doesn’t require very much; however, I don’t normally skip that ingredient. Thanks for visiting! I have made this cake so many times i can almost do it by heart. This is definitely my favorite cake. So,so moist and delicious!! Five star rating for me! Thanks so much Paula for visiting and letting me know! I totally agree! I really wanna try this recipe. It looks so good! However half the family doesn’t like coconut and the other half does. Has anyone tried making it without the coconut?! Hi Amanda! No I have never tried it without coconut. I’d still make it for those who do and take the rest to friends! 🙂 Thanks for visiting! The flour in the recipe, it that self rising, all purpose or cake flour? Hi Pam! It is regular all purpose flour. Thanks for visiting! Hi Rebecca! I just used regular all purpose flour. Thanks for visiting! Why is there baking soda in the sauce? Can’t wait to try this it looks amazing. Hi Christine! The baking soda reacts with buttermilk causing the mixture to foam and froth up a bit. 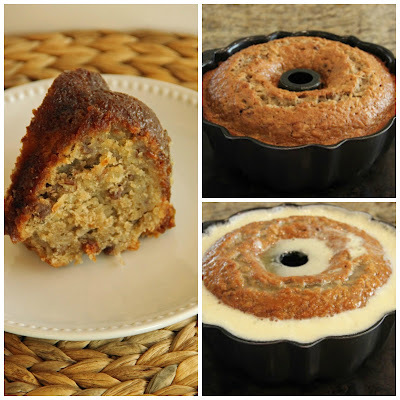 As it soaks into the cake, it creates a glaze that is wonderful! Thanks for visiting! I have not frozen this, but I really think it would freeze great! Thanks for visiting Deb! Can the cake be made the day before and stored in refrigerator or on countertop? Covered of course. Hi Judy! I make it and store it covered on the counter. Hope you love it! Hi Sarah! I have not ever omitted the orange juice in this recipe, but I would replace it with milk and see how that works. I think it will turn out goo too! Thanks for visiting! I have never made buttermilk with the milk and vinegar and want to make this today and only have apple cider vinegar on hand, will that work or does it have to be white vinegar? Hi Lisa! I have not tried making buttermilk with apple cider vinegar. Personally, I don’t care for the flavor of it, and I’m not sure how it would make the buttermilk taste. 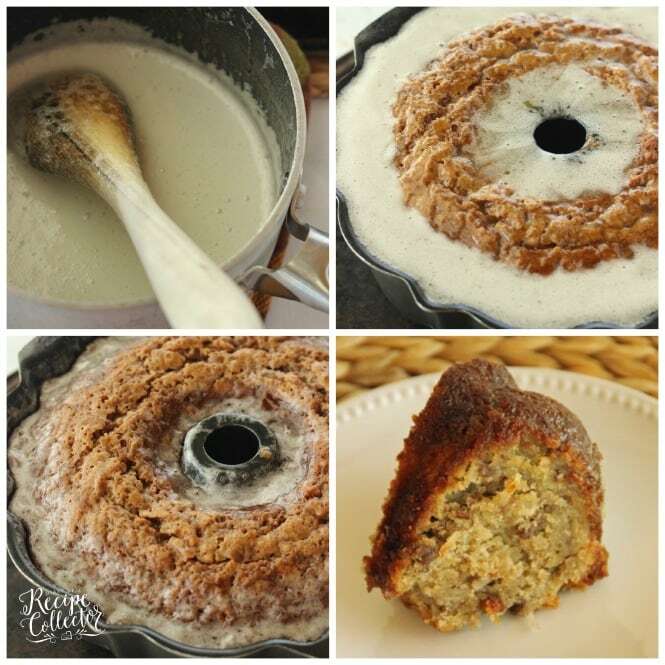 That buttermilk sauce is what makes the entire cake divine. I would go with regular vinegar, if possible. If you have already tried it, I am interested to hear how it came out. Have a good night! Hi–this sounds amazing! 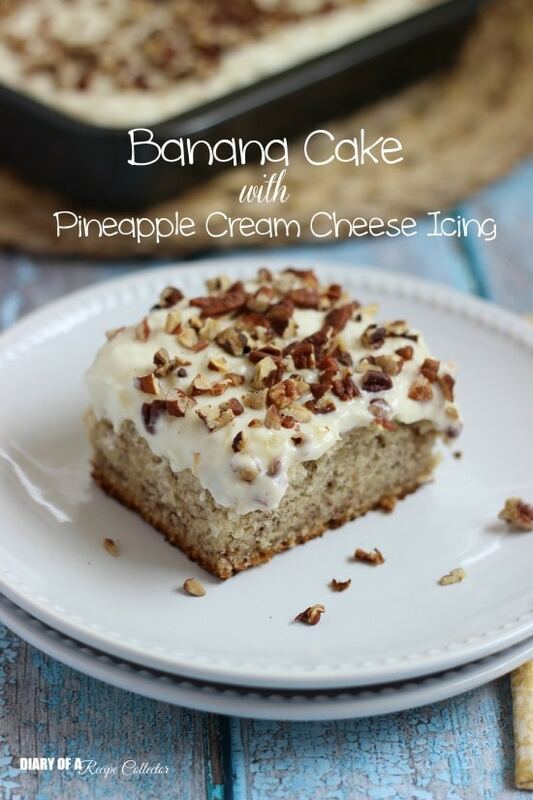 Just one question: do you use sweetened or unsweetened shredded coconut in this recipe? Hi Sarah Jo! It is amazing!! I use sweetened coconut. Hope you enjoy!! Hello just wondering how much oil is used? Hi Jacqueline! You need to use all 1 1/2 cups called for in the ingredients. Thanks for visiting! My cake rose above the pan what should I do? Hi Beth! I’ve never had it rise above the pan, and I use a 10 cup bundt pan. I would have tried pouring the liquid in at a slow rate in small amounts at a time. Did it work out okay for you? Would walnuts be ok instead of pecans? Hi Holly! Yes walnuts are just fine! Can this be adapted to cupcakes instead of a bundt pan? What would change with the baking times? I have not tried that since the cake is soaked in the sauce. I usually slice it up and send it as gifts too. If you try that, I would reduce the baking time quite a bit, but I’m not exactly sure how long. I did make them into cupcakes and they turned out perfectly! The recipe is delicious! I baked them about 25 minutes. I just poked some small holes in the cakes and spooned the sauce over them. I have a great photo but I don’t see how to attach a photo to this site. HI can this cake be adapted to gluten free and which. flour would you use to do this . Hi Anne! I’m afraid I do not have any experience baking gluten-free, so I really can’t advise you on what is the best one to choose. If you do make it gluten-free, I would be very interested in knowing what works out for you! Thanks for visiting! Hi Jaren. I’d love to use this recipe for a wedding cake this October. I would like to sub half the oil with applesauce. I will bake in a 10×4 round pan and use a heating core. My question is about the texture; is the crumb too tender to be stacked? The tiers are alternating flavors but it will be for tiers. I may or may not spread the glaze on the top of each tier prior to adding the brown sugar buttercream. 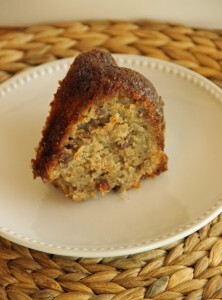 This cake has more of a quick bread texture and does fall apart when sliced sometimes due to the pecans. I’m not sure it would stack well at all. However, I do love the concept of this flavor of cake as one of the layers! Hi Susie! Even though I love a recipe that starts with a boxed cake mix, I wouldn’t use it on this one. Thanks for visiting! I added a few soaked raisens…loved it..
Great idea Martha! Thanks for visiting! Can this cake be made in a 9×13 pan? If so ,how long do u bake it for and at what temperature. Hi Phyllis! I’ve not made it in a 9 x 13 before, so I’m not exactly sure how long to bake it. I would take it out once the center has set. could i use apple cider in place of the orange juice? Hi Brenda! Yes, I think that would work.